We often hear that mindfulness doesn’t “work” when we use it as a means to an end. Here, Genevieve Tregor explains why mindfulness loses its impact when we use it in small "bandage" doses instead of weaving the practice into our daily lives. The psychological community has wholeheartedly embraced mindfulness in response to the many mental health benefits that are reported by individuals and documented in peer-reviewed literature. The research continues to develop with more robust design, and the scientific community has just begun to quantify and qualify the effectiveness of this practice. The understanding that “mindfulness is not a technique” often goes unheeded in the pursuit of its adoption. As mindfulness continues to grow in acceptance, it has increasingly been used over the past several years in psychological practice as another “modality” or technique. However, when therapeutic practitioners seek to incorporate mindful techniques into their work without appropriate understanding, the practice loses its efficacy. a technique-based approach can, in some instances, cause harm. To understand why this occurs in the context of the therapeutic community, there are a few concepts to unpack: how the therapeutic encounter is understood, what the elements of a therapeutic encounter involve, and finally, what it looks like to teach mindfulness in this context (or any context). Most therapists would acknowledge that the most powerful work they do is in the realm of “healing“, rather than “fixing” (which approaches the individual as a problem to be solved) — recognizing and reaffirming the person as a whole, rather than as a problem to be solved. The catalyst for this healing work rests within the “relational field”, the dynamic created between the client and the therapist, rather than with any techniques or approaches. Similarly, the art of teaching mindfulness exists firmly in the realm of healing in this way. However, in the therapeutic encounter there are also necessary elements that function as intervention, with an intention to “fix” or help. The movement between these two intentions is where the use of mindfulness in a therapeutic context can become confused and lose its impact: the therapeutic power of mindfulness lies, at its very heart, with the paradox of letting go of the need to fix in order to heal. This doesn’t mean that we give up trying to help ourselves or others — but the ability to recognize the difference between these intentions informs the understanding of the practice of mindfulness. This can be difficult to understand because it can’t be grasped through a conceptual framework and is therefore easily lost in the push to utilize mindfulness as another “modality” in therapy. The therapeutic power of mindfulness lies, at its very heart, with the paradox of letting go of the need to fix in order to heal. While the work a therapist does is relational in nature, it is generally held within some conceptual framework or theory of psychology that informs that relationship (think: psychodynamic, humanistic, cognitive, integrative, etc.) Additionally, there are the many therapeutic modalities, often informed by these paradigms or theories, which function as intervention, technique, or tool-kit. Modalities might be conceived of as methods to work with a set of symptoms or issues (cognitive behavioral therapy, dialectical behavior therapy, eye movement desensitization and reprocessing) or to work with a particular kind of resource (equine therapy, sand-play, etc.) in the interests of therapeutic “work.” However, to treat mindfulness as one more modality involves a fundamental flaw. To approach mindfulness in terms of therapeutic modality is problematic in a number of ways. The problem begins with a fundamental operating principle of mindfulness practice in the context of trying to “fix” something. A practitioner has to be willing to set aside all goals other than awareness of what is happening in the present moment. This doesn’t mean that there is anything invalid about learning mindfulness practice because we want to change something in our lives — it’s perfectly legitimate to have a reason or motivation for wanting to learn. In fact, most find the practice because they are suffering in some aspect of their life and are looking to find a way out of that suffering. Those dealing with anxiety, depression, or chronic pain, or any number of physical and emotional difficulties have found relief and healing after coming to mindfulness intentionally for that purpose. But that drive to escape suffering, that’s where things can get a bit messy in the utilization of mindfulness as a modality in a therapeutic environment, because this very benefit can only be found in the subtleties and paradox within the practice, where embracing what is allows change and healing to happen. This isn’t something that can be easily translated through the introduction of a few “techniques” to employ when difficulties arise, or by practicing in order to achieve change directly. How do we heal through letting go? It’s helpful to look at Jon Kabat-Zinn’s definition of mindfulness — Kabat-Zinn is the pioneer of mindfulness-based stress reduction (MBSR) and the father of mindfulness in health care, and he includes “nonjudgemental” in his definition of mindfulness. A critical capacity in teaching mindfulness is guiding others to recognize the various ways we hold “lenses” that obscure our ability to see clearly what is happening in the present moment. The judgement he’s referring to goes beyond (but includes) what we generally think of as making a judgement or being judgmental, and points to the ability to recognize any bias or perception beyond direct sensory experience (direct sensory experience as the bare phenomena at the sense-doors: seeing, hearing, sensations, etc.). These biases and perceptions function as lenses through which we evaluate (judge) our experience. As soon as we begin chasing a particular outcome, it becomes elusive. One hard-to-recognize lens is the one I like to call “in-order-to mind.” This arises even with experienced practitioners, and a mindfulness practitioner must always be on the lookout for this lens because it can be a little sneaky! For example, when a practitioner has the experience of bringing mindful awareness to a painful sensation and notices that this often times shifts the experience of pain, sometimes to the degree of no longer feeling pain at all, the practitioner can easily slip into the habit of bringing awareness to a painful experience in order to get rid of it, rather than to simply observe. Sadly, the possibility that mindfulness would have this impact is pretty much lost when that lens is present. As soon as we begin chasing a particular outcome, it becomes elusive. In mindfulness practice, we are cultivating the ability to recognize when these various lenses are present so that we are less likely to be influenced by them. So, when mindfulness is approached as a modality, which by very nature is a means to an end – a lens of “fixing” — it undermines the fundamental nature of the practice itself. As a result, the usage of a few basic mindfulness techniques, in the absence of a greater framework of practice, in the interests of offering one more “approach” or tool for handling difficulties, will have limited value and impact. The techniques themselves are just not going to provide the same experience that learning mindfulness as a robust practice offers. It’s not going to work at the transformative level which embodied practice does — it won’t fundamentally shift the relationship with experience, which is where all of the power of mindfulness lies. Most of the research to date has utilized outcomes from programs offering a robust practice taught by highly qualified instructors who are able to impart not only techniques, but how to work with them skillfully in the full range of experience, along with the spirit of the practice rather than a collection of procedures to employ. Learning mindfulness in the way it was intended cultivates deep insight into our experience, which leads to change and healing at a very different level that, over time, becomes self-perpetuating. On a regular basis, articles appear in the news criticizing and casting doubt on mindfulness as a valid or useful approach, or suggesting that its impacts are overstated. 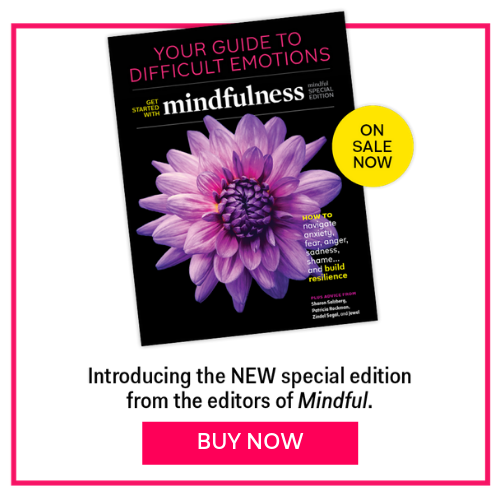 While it’s true that mindfulness isn’t a cure-all the way it is sometimes discussed, these articles are generally a response to the fact that what is often offered in the name of mindfulness are significantly watered-down techniques, or even something completely different. For example, among the many usages I’ve encountered, the word mindfulness is regularly misappropriated to describe meditation in general (rather than the very specific form which is mindfulness meditation); other spiritual and “new-age” practices, positive-psychology, or as a catch-all for wellness in general. This can cause confusion for those therapeutic counselors or organizations seeking to offer programs that are “mindfulness-based.” This confusion has resulted in the proliferation of what is becoming known as “pop-mindfulness” or “McMindfulness,” which tries to appropriate the results of the authentic practice of mindfulness with band-aide solutions and feel-good instant fixes — where mindfulness is merely relegated to a buzz-word. Additionally, the offering of basic techniques and instructions that are not informed by a depth of understanding and experience can bring a potential for causing harm. Most often this would only result in providing instruction that is misguided; however, it is also possible — particularly when working with individuals who are dealing with varying degrees of psychological distress — that pushing a particular technique without fully understanding it could exacerbate mental health problems, including trauma. It’s not hard to understand when some who work in the therapeutic community find fault with “mindfulness” in light of this. However, it’s not the practices themselves which are problematic, rather the use of something else in the name of mindfulness, or a lack of understanding of the practices that are being taught which has created this confusion. These therapists recognize that the practice of mindfulness is the practice of being present “in service” to our own experience, and that the most impactful benefit to the client is this service to themselves in their role and relationship with the client. A therapeutic practitioner with such a practice is able to remain present and open to the healing that takes place within the relationship. This is incredibly powerful — far more impactful than offering a few techniques. This simple act of being fully present with another human being can in itself provide a profound catalyst for change and healing. Mindfulness practice is ultimately a way of holding ourselves in service to — and as a witness to — our experience. Mindfulness can be profoundly healing when related to from this perspective. To teach from the idea of “in order to” is to teach as a way of trying to fix or change something, which is not mindfulness at all. While therapy necessarily includes elements of both, mindfulness is fundamentally based in healing. Do they have their own dedicated mindfulness practice, and for how long? Working with mindfulness is cumulative in nature and developing a momentum of practice strengthens and deepens it, so experience level and background will say a lot about what might be offered by any individual teacher. In what ways are they continuing to work with and develop their own practice? Does their experience include formal meditation practices along with daily mindfulness practices? While mindfully “dropping in” during daily life is an important aspect of cultivating an embodied practice, the formal practices (e.g. seated meditation, retreats) are what inform that capacity. Can they describe the differences between mindfulness and other meditation or contemplative practices? Many other practices and traditions (yoga, prayer, hiking in nature, etc.) hold components of mindfulness, and may be done with mindfulness, but in and of themselves are not necessarily actively and intentionally cultivating the practice. Can a teacher articulate the components of mindful awareness and how that is cultivated? Have they spent any time in intensive, silent retreat — specifically mindfulness (aka Vipassana) retreats? Dedicated, intensive retreat time is critical in deepening mindfulness practice and learning the subtleties of practice and the way the mind works both in general and in relation to the practice. MBSR certified teachers must have completed a minimum of two, week-long silent mindfulness retreats (in additional to other trainings), which might be a helpful criteria to apply to any teacher offering mindfulness instruction. Do they have training to be a teacher of mindfulness by a recognized organization, or by an authorized teacher? While taking a few workshops or a class in school may provide a baseline for someone to offer a brief guided meditation or even to discuss the benefits of mindfulness, it isn’t likely to be sufficient preparation for teaching mindfulness as a practice. Learning mindfulness and working with the practice is an interactive and engaged process, and finding the right teacher will make a significant difference in how that process unfolds and ultimately how it may impact one’s life. Additionally, although mindfulness practices can serve us in many ways that are therapeutic and can support the therapeutic process, its essence is in service to our experience, not a way to fix it. This article was adapted from Solution Mindfulness. View the original article here. Genevieve Tregor, MS, a mindfulness instructor and health educator, has been a committed mindfulness practitioner since 2008 with extensive long-term retreat experience. She teaches Mindfulness Based Stress Reduction and other mindfulness courses and workshops — with a trauma-informed approach — through Solution Mindfulness, and serves as an adjunct instructor at South Mountain Community College in Phoenix where she teaches Cultural Aspects of Health and Illness. Genevieve is also the founding teacher for Insight Meditation Scottsdale.